Ethan Miller/GettyThe Las Vegas Aces may have started a discussion about travel in the WNBA by forfeiting a game against the Washington Mystics. The WNBA ruled that the Las Vegas Aces forfeited a game they decided not to play after 25 hours of travel delays. The Aces were supposed to play the Washington Mystics at 8 p.m. last Friday, but opted not to play due to player safety concerns after they didn’t get into Washington D.C. until 4 p.m. that same day. The issue could not only affect the playoff race this season, it could raise discussions within the league about team travel, as WNBA teams fly commercial, not private. 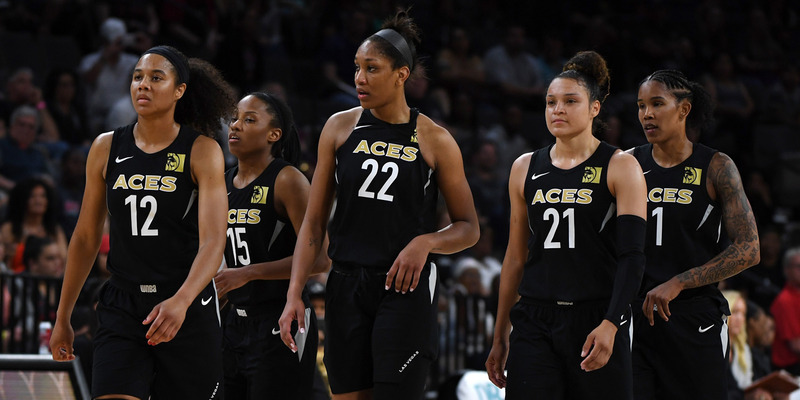 The WNBA announced on Tuesday that the Las Vegas Aces forfeited a game against the Washington Mystics last Friday that the Aces decided not to play. 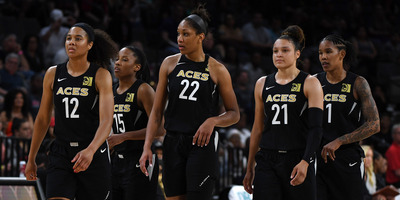 The Aces decision not to play came after the team experienced severe flight delays on Thursday, spending 25 hours travelling to Washington D.C. WNBA teams fly commercial and don’t have their own charter planes. According to SB Nation’s Matt Ellentuck, the Aces tried to fly out of Las Vegas at 1:13 pm on Thursday for a Friday night game in Washington D.C. The flight was delayed until 10 p.m. and then cancelled. The team then flew to Dallas, landed at 5 a.m., then took three different flights to D.C. because one flight could not accommodate the whole team. They arrived in Washington D.C. at 4 p.m., four hours before the game. The team said in a statement that after consulting with doctors and the players union that they decided playing the game would not be safe because of the lack of sleep and physical condition of the players. After reviewing the incident, the WNBA determined the Aces forfeited the game, handing them a loss to drop them 12-16. With six games left to play, the Aces are in ninth place, two games back of the playoffs with six games to go. The loss could affect their own playoff pursuit as well as the Mystics, who are in third place and trying to earn a first-round bye. The Mystics were not sympathetic to the Aces’ journey. “They should have showed up,” Mystics coach Mike Thibault told Ellentuck. “It’s that simple to me. Every team in every sport goes through a day like this or two days like this somewhere in a one- or two-year period. It happens. It’s happened to me in this league several times, the NBA, the CBA. There wasn’t a snowstorm, they got here. Some are torn on whether the Aces made the right call. As ESPN’s Mechelle Voepel laid out, some might see the Aces as negatively impacting their own season, handing the Mystics an easy win, and bailing out of an obligation. Others might think the Aces were doing the right thing to protect players from an elevated risk of injury while also making a statement to the WNBA for better travel methods. According to Voepel, the WNBA’s collective bargaining agreement prevents teams from using charter flights because of financial and competitive balance issues. Voepel noted that teams owned by NBA teams could access charter flights more easily. The players can opt out of the CBA in October, potentially making travel a bigger issue in the next agreement.